Prof. Ryan Prosser completed his undergraduate training at Queen’s University in Kingston, Ontario and attended teacher’s college at the University of Wollongong in New South Wales, Australia. He taught International Baccalaureate higher level chemistry at the American International School of Kuwait in Kuwait City, Kuwait for six years. Upon returning to Canada, Prosser completed his doctorate in environmental toxicology at the University of Guelph. The focus of his doctoral research was on the potential risk of pharmaceuticals and personal care products to plant and human health due to the land application of municipal biosolids. During his doctorate, Prosser was also involved in several projects investigating the effect of pesticide on aquatic systems. For example, investigating the effect of the glyphosate formulations used in control of cocoa plantations in Colombia on aquatic ecosystems and the effect of atrazine used in the Midwestern United States on aquatic primary producers. 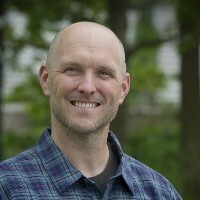 Following his doctorate, Prosser was a post-doctoral fellow in the Aquatic Contaminants Research Division of Environment and Climate Change Canada. He led a team that investigated the effect of high production volume chemicals used in Canada, for which there was little data, on aquatic biota. Prosser also led several research projects investigating the effect of chemical stressors on threatened and endangered freshwater mussel species present in Canada. Currently, Prosser and his graduate students are researching the potential effect and risk of various industrial chemicals and pesticides on aquatic and terrestrial ecosystems.